In January 2017, Tidal commenced streaming of MQA Master content from Warner Music with MQA-encoded titles from Sony and Universal still to come. Negotiations are ongoing between MQA (the company) and “other streaming services“. For the end user wanting more than MQA’s first unfold, as provided by desktop software applications like Tidal, Audirvana+ and Amarra, an MQA-certified DAC is required. Megabucks? Nope. 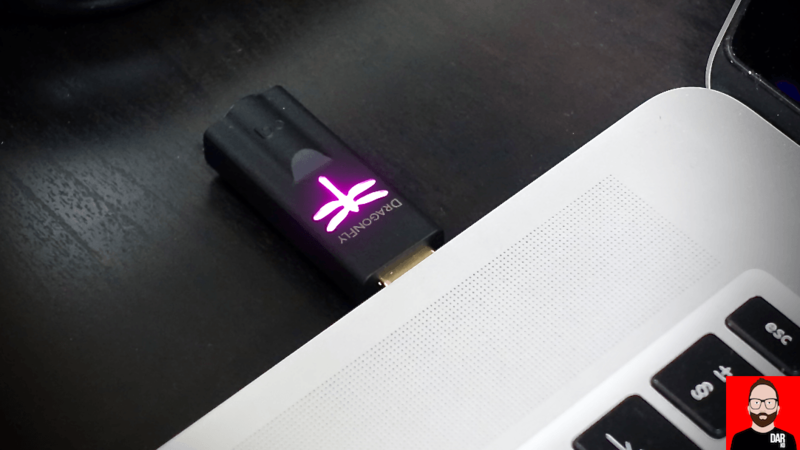 This week in Munich, AudioQuest announced the availability of a firmware update to their DragonFly Black and Red USB DACs: v1.06 adds improvements to Android compatibility and MQA support. In case you missed it, the DragonFly Black sells for US$99. The Red for twice that. Future units will ship with MQA support pre-installed but existing users are first directed to the AudioQuest Desktop Manager app. Download it here. Now the wrinkle: the low-power Microchip micro-controller used in each DragonFly has only enough juice to apply MQA’s “deblurring” filter (rendering). The first (and only) unfold in this system is instead carried out by the desktop playback software. A team effort –hardware and software. Those seeing this as the DragonFly glass being one quarter empty are reminded that this update comes free of charge. Similarly, those with no interest in MQA can still use their DragonFly Black/Red with good old-fashioned PCM (up to 24bit/96kHz). We should not forget that the majority of the world’s music supply is lossy and lossless Redbook. MQA is a nice-to-have extra for interested parties. One thing’s now readily apparent: with licensing deals inked, streaming supply in motion and affordable supporting hardware now available, MQA is anything but DOA. Meridian Explorer 2 does the entire unfold. Yes — because it uses a more powerful USB micro controller. The Meridian Explorer2 and the Meridian Prime Headphone Amplifier indicates the presence of MQA via a blue light. The Dragonfly Red’s light turns a purple color when MQA is present. It would be nice if there were a color consistancy for MQA music files. If there were, I would vote for the Blue of Meridian the originator of the encoding codex. I do wonder after reading your article if the purple is the results of the Dragonfly inability to fully decode the MQA signal. If it turns blue, it’s not doing MQA. As DAR explains above, Tidal software has to do the first unfold before the Dragonfly can do its part. Turn MQA passthrough OFF in Tidal and you should see the light turn “purple” (a deeper shade of magenta than that used for regular 96k). Completely counterintuitive, but that’s how it works. how about connecting my dragonfly to the usb c ports on new macs?do adaptors spell hifi? Audioquest’s site has a USB c adapter available, as I’m sure Amazon et al do as well. *As per the text above*, you enter by commenting here – as you have done. Just to clarify, a Dragonfly Red/Black with the updated firmware paired with Tidal’s Desktop App has the ability to take full advantage of MQA? Because the “unfold” is being done by Tidal, is this inferior to a DAC that can do both? “Inferior” might be slightly pejorative in this case. Instead I would suggest the AQ Dragonfly set-up will get you 96-98% of the available magic with minimal upfront fuss or investment. The remaining 4- 2% is available by utilizing those MQA DACs. Those last percentage points mean a lot to some people, less to others. Of note, my MBPR runs a tad hotter when performing the first unfold whether it’s booted up running MacOS or Windows. 96-98% is enough for me – thanks! I got in touch with Audioquest – they confirmed that Magenta is the correct MQA colour. ” The first (and only) unfold in this system is instead carried out by the desktop playback software” – that’s not what Gordon Rankin is saying over at Computer Audiophile. Tidal does the first unfold, subsequent unfolds are done by the Dragonyfly microcontroller and/or DAC (he’s being a little ambiguous on purpose). Could you attach the URL of the computer audiophile article. I suspect it might be a forum comment, not an article. I don’t use Tidal so I don’t know how it works. I’m interested in the MQA remasters of Led Zeppelin IV and Physical Graffiti. Can I purchase a single MQA track to be used offline without Tidal app. Is there any windows 7 music player software that can do the unfold and the rest is handled by DF Red. I know Jriver can’t do it. Just FYI – Tidal still offers a 30-day free trial. Sign up, download the Tidal ‘Desktop App’ and update the DF Red’s firmware. Zeppelin’s Remastered Albums sound amazing using the Master/MQA files and serves as a great example of the benefits MQA offers. Yes I know, but the Tidal HiFi subscription is not available in my country yet so I can not use the trial version. Is there a way to download the files without subscribing? highresaudio.com says that the albums are available in MQA but “Unfortunately, the album can not be purchased at the moment due to country and license restrictions, or the official release date for your country is not yet available. We update our publication dates once or twice a week. Please take a look from time to time. We recommend you to add the album to your shopping cart. I am trying to get my updated AQ Dragonfly Red working with Foobar on Windows. I am using the WASAPI driver and turned off all DSPs, etc. I have download MQA files from 2L and David Elias. When playing normal FLAC files the DR light changes to the correct color depending on the bit rate. When playing the FLAC MQA files the light does not change to the expected Purple color indicating MQA? Has anyone gotten a Windows local software player working with MQA files and DR? I am trying to get my updated DR working with MQA with local files. I have download MQA files from 2L and David Elias. I am using Foobar and the WASAPI driver. When playing normal FLAC files the DR light changes color base on the resolution of the file. When I play MQA files the DR does not change to the expected purple color that indicates MQA files are being played? Has anyone gotten this working on Windows with a software player besides Tidal? 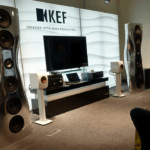 Hans Beekhuyzen on his YouTube channel said he talked to Bob Stuart at Munich and he indicated that the Dragonfly red does the full MQA decode. Additional info: I’ve presented MQA files an updated AQ DF Red via the Onkyo HF Player app on an iPhone 7+. Depending on the native resolution of the source file the DF shows amber (88,2kHz) or magenta (96kHz) during playback. This would suggest it’s indeed able to decode MQA files without having the first unfold take place via software. I don’t think so. Only when the DFly lights magenta is it seeing MQA. I am a little bit dumber, so just to clarify, the Red will only play MQA through the desktop app but not through android device. As of right now, MQA content is only being served by Tidal via its desktop apps. Can confirm it works via Tidal service integrated into Roon. Interestingly it’s decoding at 48khz in Roon meaning a nice blue/purple glow on the DFR – it seems to be double-sampling up to 96khz in the Tidal desktop app, giving an orange glow on the DFR.